For other places with the same name, see Wielbark (disambiguation). 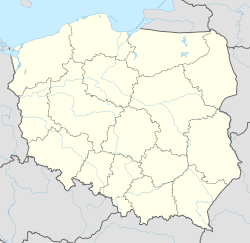 Wielbark [ˈvjɛlbark] (German: Willenberg (help·info)) is a town in Szczytno County, Warmian-Masurian Voivodeship, in northern Poland. It is the seat of the gmina (administrative district) called Gmina Wielbark. It lies approximately 19 kilometres (12 mi) south of Szczytno and 52 km (32 mi) south-east of the regional capital Olsztyn. The official site of the county of Wielbark gmina states that the first signs of human settlement date before the arrival of the Teutonic Knights, and that the first named settlement mentioned in the area is called Bartniki. This location along with the settlement located near castle-called Karczmarska Wioska, gave birth to Wielbark according to the county's site. The German name of the settlement, “Wildhaus” ("wild game house"), is first mentioned in 1361 of the Teutonic Order at the southern border of the Teutonic Order State Willenberg (Wildenberg) consisted only of a few buildings when it was founded by komtur Frederic von Willenberg. It remained within the Teutonic Order state after the Second Peace of Thorn (1466) and became a part of the Crown of Poland fief of Ducal Prussia with the adoption of the Lutheran faith by Albert of Prussia in 1525. A Protestant church was mentioned in 1557 and the settlement was called a small town in 1647. In 1656, throughout the Second Northern War, Willenberg, like many towns in Masuria, was destroyed by Polish Lipka Tatars. In the 18th century the town was a center of cloth manufacturing and benefited from its location at the main road from Warsaw to Königsberg (Królewiec), with the main trade focused on Russian held Poland, according to the webpage of the Wielbark gmina. The settlement was granted town rights on 21 July 1723. Fires destroyed the town in 1743 and 1763. In January 1807 70,000 Napoleonic soldiers traversed the town and had to be supplied. Napoleon headquartered here from 21 January to 2 February prior to the Battle of Eylau. The French troops caused a fire which damaged the town furthermore. In 1813 Tsar Alexander I of Russia received the official message of the Prussian accession to the struggle against Napoleon by General von Kleist at Willenberg. Szadowski’s work in Wielbark was continued by Walenty Barczewski, priest, notable activist in the Polish national movement, author of numerous books about Warmia, its geography, history and folk culture who arrived in Wielbark on 11 April 1889. Already in 1890 he managed to open up a Polish school in the town for young clerics A catholic church was built in 1878 - 1880. Willenberg was attached to the railroad line Ortelsburg - Willenberg - Neidenburg on 1 July 1900. In the beginning of World War I Willenberg was occupied by Russian troops in the Battle of Tannenberg (1914). On 30 August 1914 16,100 Russian soldiers were captured in a battle near Willenberg and the Russian First Army commander General Samsonov committed suicide in a forest just south of Willenberg. During the Polish-Soviet war, a plebiscite was organized to determine if the town should remain in Germany or be attached to Poland, on 11 July 1920 1,581 citizens voted to remain in Weimar Germany’s East Prussia and 24 to join the Second Polish Republic in the East Prussian plebiscite. Afterwards posters were hanged out in Willenberg demanding that “traitors who voted for Poland” leave the town within three days with their belongings Due to the Nazi Party's significant success in Masuria in the 1932 elections Hitler visited the area in April 1932 and held a speech in Willenberg. In January 1945 Willenberg was taken over by the Red Army from Nazi Germany. Due to the fast Soviet advance large parts of the populace remained in the town or were overrun on their flight. 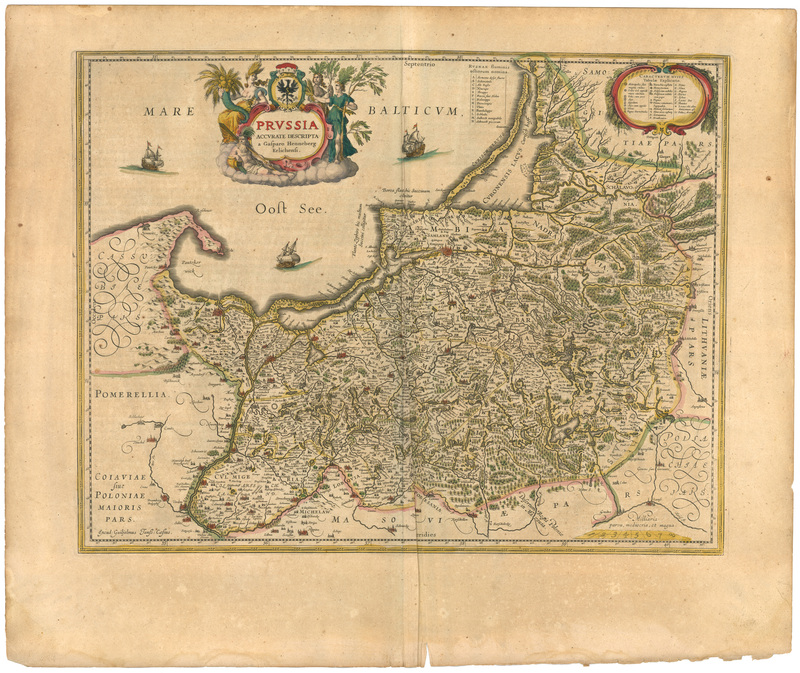 After World War II the remaining populace was expelled, the area was "restored" to Poland and given the Polish name of Wielbark by which it was known before the war. Bernhard Fisch (born 1926) is a German writer. ^ a b Kossert, Andreas (2006). Masuren. Ostpreußens vergessener Süden (in German). Pantheon. ISBN 3-570-55006-0. Kossert, Andreas (2004). Mazury, Zapomniane południe Prus Wschodnich (in Polish). ISBN 83-7383-067-7. ^ a b c d e f g h Göbeler, Olaf (2004). Willenberg - Die Geschichte einer ostpreussischen Grenzregion (in German). ^ Ibbekken, Hillert; Blauert, Elke (2002). Karl Friedrich Schinkel: das architektonische Werk heute (in German). Edition Axel Menges. ISBN 978-3-932565-25-0. ^ Hauner, Milan (1983). Hitler, a chronology of his lefetime. Macmillan. ISBN 978-0-333-30983-4.